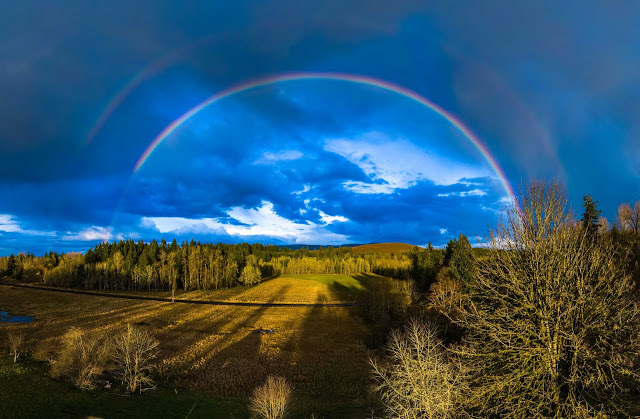 The wild weather of spring is particularly dramatic in the lush foothills of Western Washington. Storms race in from the Pacific Ocean, pouring down rain on the waking forests and greening fields. In the wake of the rumbling thunder and howling wind comes blowing mist and bright rays of sun, and in such conditions are rainbows born. 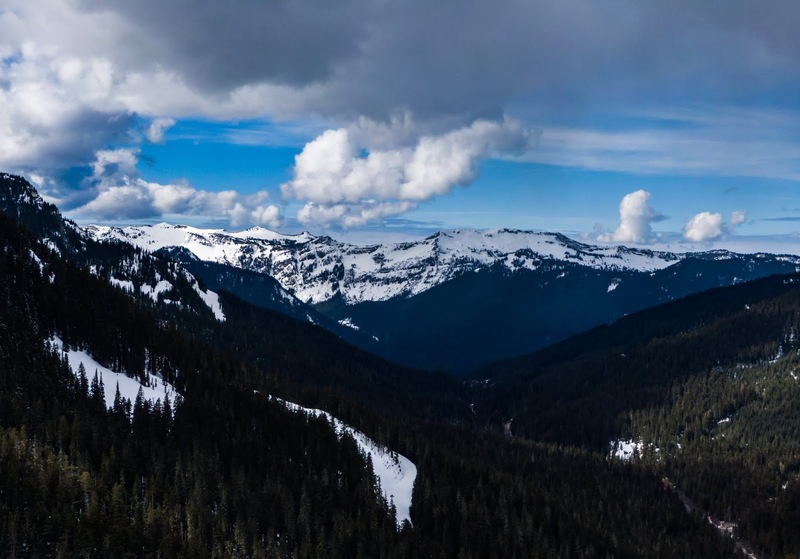 Towering clouds sail like the tall ships of a past age cross the crest of the Cascade Mountains. At White Pass, winter is still going strong, and so is the ski season. Here at the edge of the Goat Rocks mountains, the scenery is splendid indeed - from volcanoes, to canyons, to frozen alpine lakes. 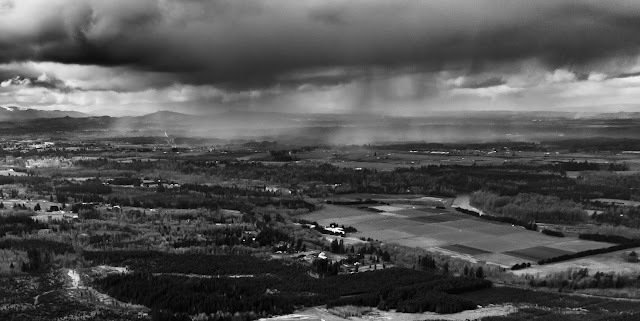 Storms race across the wide fields and low forested hills of the Cowlitz Prairies on a wild day in March, their shadows swirling over the landscape like living inkblots. 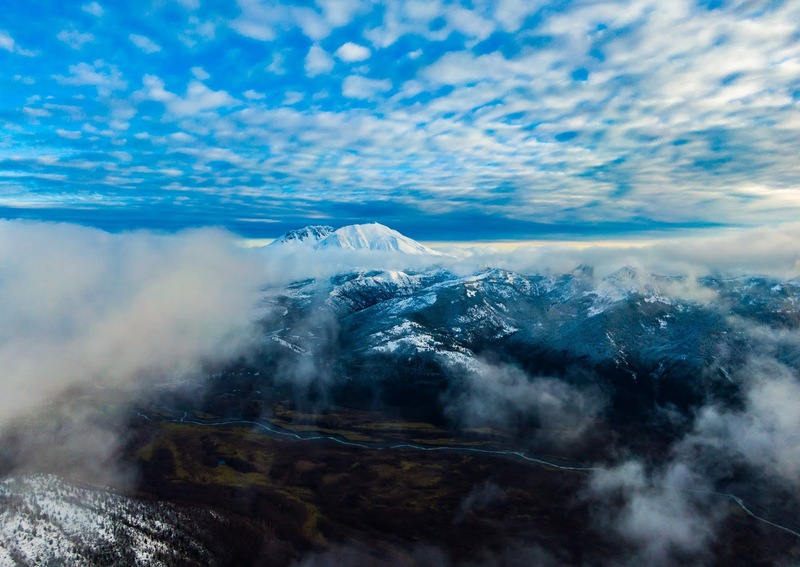 This wild sky is reflected in marshes, lakes, and distant rivers that cut through the wide plain on their way from snow capped peaks in the Cascade Mountains to the waiting briny depths of the Pacific Ocean. 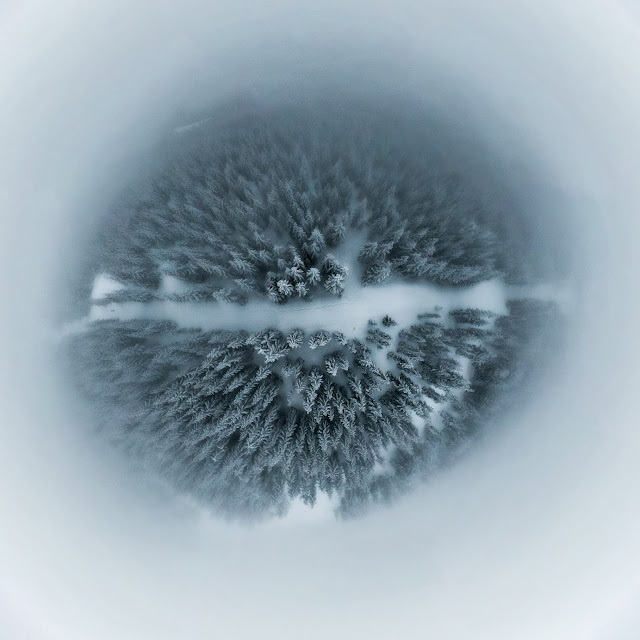 Winter is beautiful - ice and snow transform the landscape, creating the perfect conditions for aerial photography. Capturing such dramatic scenery requires preparing for the risks such frigid conditions entail. I hope these tips will help you to fly safely and capture better drone photos and video footage. Where the glaciers meet the high meadows; spring, summer, and fall pass in the blink of an eye. The plants and creatures that call this fleeting alpine paradise home must wake, feast, reproduce and prepare for the return of the long winter months all in the space of a brief handful of weeks. 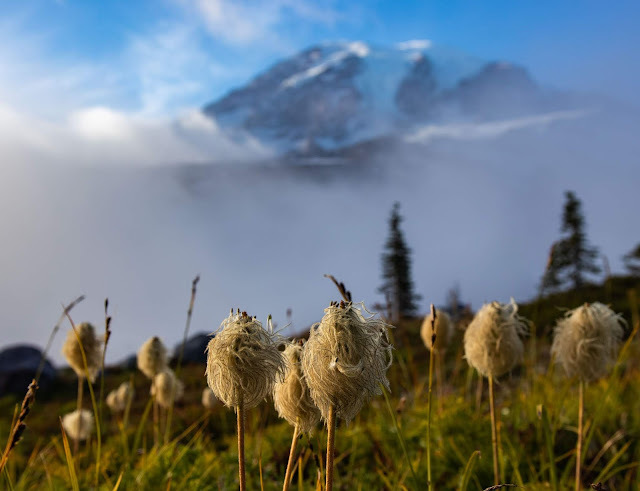 Among the most striking and lasting flowers to grace these remote and lonely places is Old Mans Beard, Old Man of the Mountain, Western Pasque Flower, Anemone occidentalis. The alpine forest is a quiet refuge of winter splendor, great drifts of snow bury everything in quilts of downy powder. The mist draws in to cloak the valleys and peaks in frigid fog. Ravens part the clouds with their dark wings and mournful call, breaking the silence of the ice and cold. This frozen wilderness slumbers in anticipation of the spring. Beauty can be found even in the dullest and least interesting locations - especially through the medium of aerial photography! 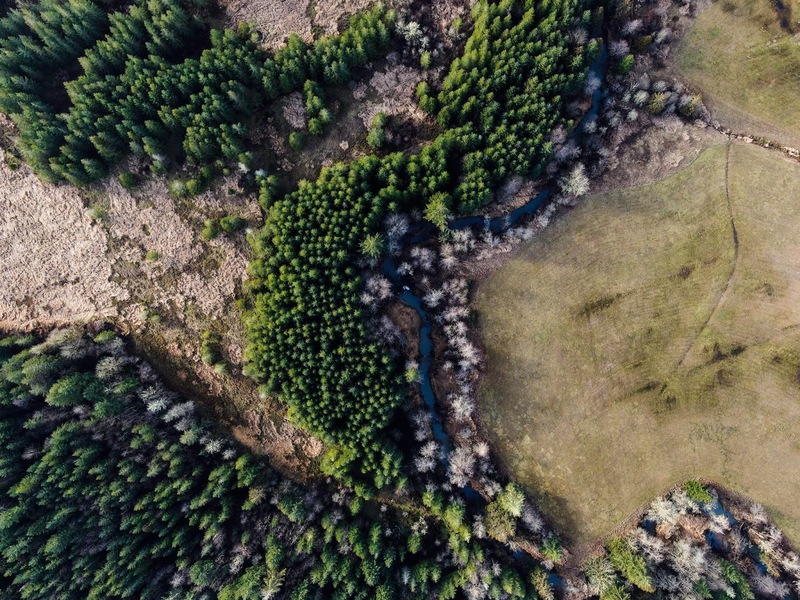 From a litter-strewn pullout between ugly forest and even uglier clearcuts I flew high and away over this quiet Washington valley to photograph the patterns in the winter woods and fields on the shores of a gently winding creek.